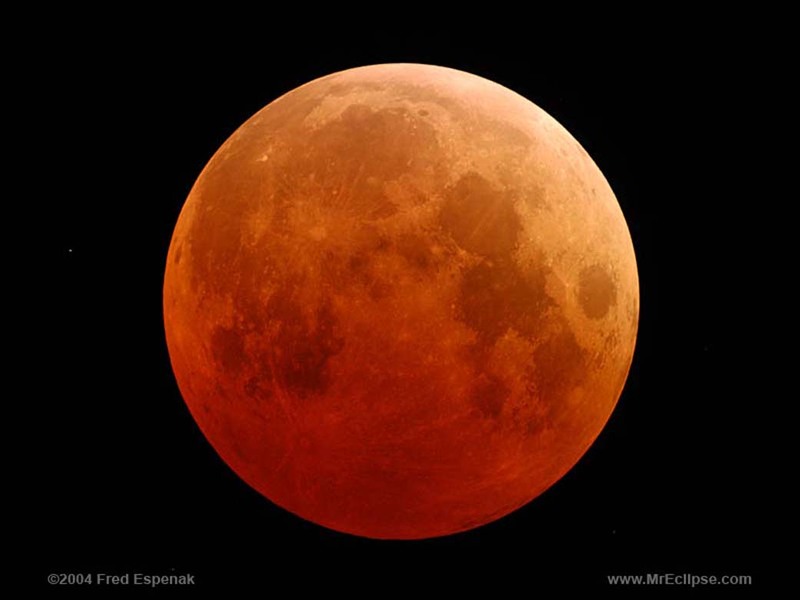 Last chance to see a total lunar eclipse until 2029 !! 'I thought, my Lord, of Thine eclipse. How fast her light withdrew! Was all appeared in view. In sad Gethsemane. Thy people's guilt, a heavy load! And filled thy soul with gloom. I mourn thine absence, Lord! But what thy beams afford. And be eclipsed no more. 'He is Lord of all (Acts 10:36). you walk in some measure as he walked. We have here an occasion which has been often made successful – curiosity. Zacchaeus did not press through the multitude to Jesus; he only wanted to see him from the top of a tree as he passed by. and that day salvation came to his house. O that it may be so with some present. Glorious things of thee are spoken, Zion, city of our God! Zion , city of our God! Thou may'st smile at all thy foes. Ever flows their thirst to assuage? Washed in the Redeemer's blood! Each for a thank-offering brings. None but Zion's children know. Jonathan Aitken, on our Board of Reference, was recently ordained to be a prison chaplain. Amazing Grace sung in its original context ! v16 'Who am I, O Lord God...?' That saved a wretch like me! Pleasing spring again is here! Lord, afford a spring to me! What a change has taken place! that shall not be forgotten. They who are sincere will set their faces Zionward. Arise, shine; for thy light is come, and the glory of the LORD is risen upon thee. For, behold, the darkness shall cover the earth, and gross darkness the people: but the LORD shall arise upon thee, and his glory shall be seen upon thee. And the Gentiles shall come to thy light, and kings to the brightness of thy rising. The people that walked in darkness have seen a great light: they that dwell in the land of the shadow of death, upon them hath the light shined. To those who received him, he was the light, the true light, the Sun. Then the eyes of the blind shall be opened, and the ears of the deaf shall be unstopped. Then shall the lame man leap as an hart, and the tongue of the dumb sing. 'I am desirous to accept the Lord Jesus upon his own terms. 'This being the anniversary of _[my dear Polly’s] birth, I desire to render my hearty thanks to our Gracious Lord for continuing all his mercies to us both thus far, for delivering us in all our fears, separations and sicknesses, and giving us the prospect of another year. O that this goodness may more powerfully constrain us to his service. and loathe to part at last. I was one that owed not a few pence but 10,000 talents, the chief of sinners, and I had if possible less than others to pay, not seemingly so much as an hour’s time to offer at a composition... and yet it has pleased God to speak peace unto me. Lord not unto me but unto thy name be the Glory and the praise. And washed my debt away. The hymn Amazing Grace has inspired and uplifted people all over the world. We hear about its influence on the civil rights movement in America, how it changed the fate of a British soldier in the Arabian desert, and its unexpected appearance in the film Star Trek: the Wrath of Khan. We also hear the story of John Newton, the man who wrote it. Taken from his first love, he was press ganged into service at sea, shackled to a ship’s deck for 40 hours and contemplated murdering his captain. But he wrote the hymn after his ship was caught in a terrible storm and he, miraculously, survived. Question: What is the nature and extent of Christian perfection? to preach among the Gentiles the unsearchable riches of Christ. "Bequeathed to the Eclectic Society by John Bacon Esqre, late one of its Members, as a token of his affectionate regard"
cause thine own voice to be heard in their hearts"
so it has been my study and pleasure, to proclaim the doctrines of Grace"
Where is he that is born King of the Jews? For we have seen his star in the east, and are come to worship him. Cast me not off in the time of old age; forsake me not when my strength faileth. Christ is all in all! as the shadow of a great rock in a weary land. And wipe our tears away. And drives away his fear. And to the weary rest. And I am owned a child. Accept the praise I bring. I'll praise Thee as I ought. Refresh my soul in death. Thy name is as ointment poured forth. Here the pride of all human glory is stained and the stain of sin is removed – mercy and truth, righteousness and peace meet together. This separates indeed between the joints and marrow, the soul and spirit. I came to a determination, to begin keeping a regular Diary (as God shall enable me) of the state and daily frame of my soul, and the gracious dealings of God unto me. The advice and experience of others who have left upon record, the benefit they have found by this practice, has long made me desirous to imitate them; but something from within or without has still hindered. Lord accept me, and prevent my resting upon any forms, or finding any satisfaction in them, farther than as they lead to thee. Amen. As merchants begin their books with an inventory of stock, so would I in a brief manner set down my present state for my future government. I trust that the Lord has caused more of his goodness to pass before me this year than I ever before experienced. I hope particularly he has taken me more off my own bottom, and given me to see more of the necessity and the sufficiency of the Lord Jesus Christ in his office of Saviour of his people – and has made me more willing to depend upon his righteousness only. I trust he has enabled me, to see more clearly the truth and comfort of those peculiar doctrines of the glorious Gospel, which in these days are by many either denied, or explained away. I have been led too of late into better opportunities than I formerly had, particularly in my acquaintance, which I have contracted with several experienced Christians,  whose belief and hopes are a confirmation of my own, convincing me that though there is a diversity of operations, it is the same Spirit that worketh in all. that your faith and hope might be in God. The apostles when speaking of Christ take it for granted that his name, his love, his work, were familiar to believers. How should our hearts burn at verse 18. Redeemed intimates at once former misery, present happiness and security, and the amazing love manifest in our redemption. Then he leads us far back – this love to sinners is no new thing, but was planned before time and though after the entrance of sin many ages passed, yet in the appointed hour was revealed – and what crowns the mercy – to you. Hallelujah; for the Lord God Omnipotent reigneth! the nation would soon wear a new face." "The glory of 'amazing grace' shines the brighter..."
"This painstaking compilation allows us to see some of the Olney Hymns set alongside Newton’s private journal, sometimes for the very day he wrote them. It offers us new insights into the inspiration of his hymn writing. Topical references – personal or national – are transmitted into timeless prayer and biblical principles. The glory of ‘amazing grace’ shines the brighter for this juxtaposition of journal and hymns." "Mary Woolnoth sendeth to Mary Leicester greeting..."
NB All 28 letters are now online ! Weep and love my life away! Weep and bleed, and die for me! Thou hast slain the Lamb of GOD. I thy ransom freely pay." Wakened by the force of love. From the law, and sin, and thee! LORD, accept, and claim the whole! Now, no more my own, but thine. "These thoughts should be required reading for all Christians in the light of our common calling to holy living and holy testimony, but specially for those who are given the unspeakable privilege of 'full-time service’, whether they are in their early days, or, like me, wishing I had read these miscellaneous thoughts sixty years ago." "It is hard to believe that any Christians, wondering if God was calling them to ordained service, ever meditated on relevant Scriptures so perceptively, and recorded their discernments so luminously, as did John Newton. His journaling of his journey towards vocational certainty is a very precious part of the legacy of this great man of God." when Thou saidst - Why hast Thou forsaken me? I observed the Eclipse of the Moon on Tuesday night, till it was wholly covered by the shade, and endeavoured to draw some meditations from it, which gave rise to a hymn that was the subject of my discourse last night at the Great House - our Saviour’s passion, the motions of the heavenly bodies being a pledge of His faithfulness to His promises (Jeremiah 33:20,21,25) and the dark seasons to which believers in the present life are liable, were the principal points. I take the liberty to send you a copy of the hymn on the other side, for no other reasons than that the subject is not common, and that you have been pleased often favourably to accept what I have sent of this sort. Was all appear'd in view. And fill'd thy soul with gloom. And be eclips'd no more. "Yes there is a better world, where our sun shall no more go down, neither the moon withdraw its shining – or rather, both moon and sun shall be needless, for the Lord Himself shall be the Everlasting Unclouded Light of His people. Oh how different is the land we are going to, from this wilderness through which we are now passing." The anniversary of my great deliverance in 1748 calls for my grateful acknowledgement. In the midst of the necessary calls of this day, I would keep thy mercy in mind. I remember when I stood trembling to appearance upon the brink of eternity, and thought it impossible I could live a quarter of an hour. Since that memorable day thou hast added twenty-eight years to my life – and I am still living, and feel little abatement of health and strength. How wonderful has been thy goodness to me in this long space. And alas how amazing has been the contrast on my side – unfaithful, ungrateful, vile creature that I am. But still I am thine. Thou bearest with me, and multipliest forgiveness and mercies to me. O Lord warm, animate and purify my heart. Draw nigh to my soul. Unite my divided heart. So far as a poor creature can (who without thy secret influence can do nothing). I open to thee, and invite thee to take a full possession. Abase the power of self, and reign alone in my soul. My time is shortening apace. O that the remainder may be spent for thee. Be my Shepherd, my Saviour, my All – and may all that I have and am be devoted to thee, and employed for thee. Tonight I attended an eclipse of the moon. How great are thy works; with what punctuality do the heavenly bodies fulfil their courses, and observe their seasons to a moment. All things obey thee, but fallen angels, and fallen man. My thoughts would have taken a serious turn, but I was not alone. I thought, my Lord, of Thine eclipse – the horrible darkness which overwhelmed Thy mind when Thou saidst, Why hast Thou forsaken Me? Ah sin was the cause – my sins. Yet I do not hate sin, nor loathe myself as I ought. The Great House rather thin tonight. I spoke farther on the case of Ignorance. Mr Samples with us after his great illness. Peggy is still ill. The John Newton Project on Vimeo. "As the workings of the heart of man, and of the Spirit of GOD, are in general the same, in all who are the subjects of grace, I hope most of these hymns, being the fruit and expression of my own experience, will coincide with the views of real Christians of all denominations." "The views I have received of the doctrines of grace are essential to my peace, I could not live comfortably a day or an hour without them." I preached this forenoon from 1 Chronicles 17:16,17.
but found my own heart sadly unaffected. In his New Year’s Day sermon, Newton commends David’s desire “to express his gratitude” to the Lord for His “many blessings”. But Newton notes of the Lord’s people, that “unless he likewise gives them a thankful heart, they lose much of the comfort they might have in them”. David’s responses are helpful to us “as a proper subject for our meditations on the entrance of a new year”, for they "lead us to a consideration of past mercies and future hopes and intimate the frame of mind which becomes us when we contemplate what the Lord has done for us”.